AIFF President, Praful Patel has said time and again that I-League is the top division, at least for this year. But it is debatable whether he himself believes that, because the treatment that is meted out to it may make you think otherwise. When AIFF announced that I-League and Indian Super League will run in parallel this season and winner of both the leagues will get entry into AFC Competition, the fans of the game were hopeful that I-League will finally due, but all their hopes were shattered. First it was the draft system that allowed only ISL Clubs to sign top players of the country meaning I-League clubs were left with whatever players that they could get their hands on. While Kolkata Clubs, East Bengal and Mohun Bagan were quick to opt in the best among rest players, I-League Champions, Aizawl FC had to assemble a completely new squad for the season. FSDL, the Marketing Partner (read Overlords) of AIFF released the schedule of ISL 2-months prior to its kick off with Star Sports beginning its marketing campaign to create all the hype and hoopla around the League. The same cannot be said about India's supposedly Top Division league, the fans of which are still waiting for its schedule. And as per reports by KhelNow, it seems that FSDL has made sure that ISL gets all the Prime time slots on television, while I-League will have mid afternoon and early evening kick off on Weekdays. Coming to telecast of matches, while ISL gets all its matches Live on TV in High Definition, I-League clubs have to be content with poor quality telecast with commentary that is best heard when mute. Though it was announced early this year that I-League matches will be televised on Start Sports but no information was given on how many matches will actually be on TV and will they be any better than what the fans got to see in previous editions. Also, now it is emerging that if schedule of I-League clashes with that of Indian Cricket Team, than the former's matches will be moved to Star Sports First, Star Network's first Free to Air Channel,which is currently only available on DD's Free Dish, further curtailing its viewer base. Lastly talking about revenue streams for both I-League and ISL. With the latter getting all the media spot light and FSDL leaving no stone unturned to make sure that it gets all the visibility, sponsors make a beeline to get their names on the Jersey of any ISL Clubs with multi million rupees deal. Same is opposite for I-League clubs. With no marketing and zero efforts by stakeholders in promoting the League, the clubs find it difficult to get sponsors and often end up paying from their own coffers. This has been the reason for Clubs like DSK Shivajians, Bharat FC, Dempo SC, Sporting Clube de Goa to pull out from the league. 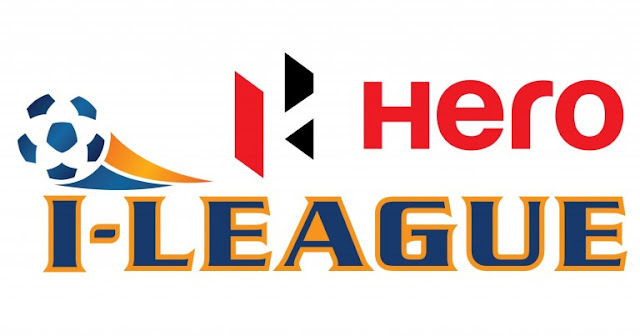 Even the difference between Prize Money offered for I-League and ISL is astronomical. 2014 ISL Champions, Atletico de Kolkata pocketed Rs. 8,00,00,000 while Mohun Bagan who won the I-League the same season went home with a cheque of Rs. 70,00,000. To put things into perspective, Mumbai City was awarded Rs. 1.25 Crore for Best Grass Root Development Program in the same year. With zero marketing, poor scheduling, shoddy broadcast and no revenue stream, AIFF/FSDL has made sure that I-League remains in dumps so that they can show that how ISL improved Indian Football.